Cisarua, West Java, Indonesia. 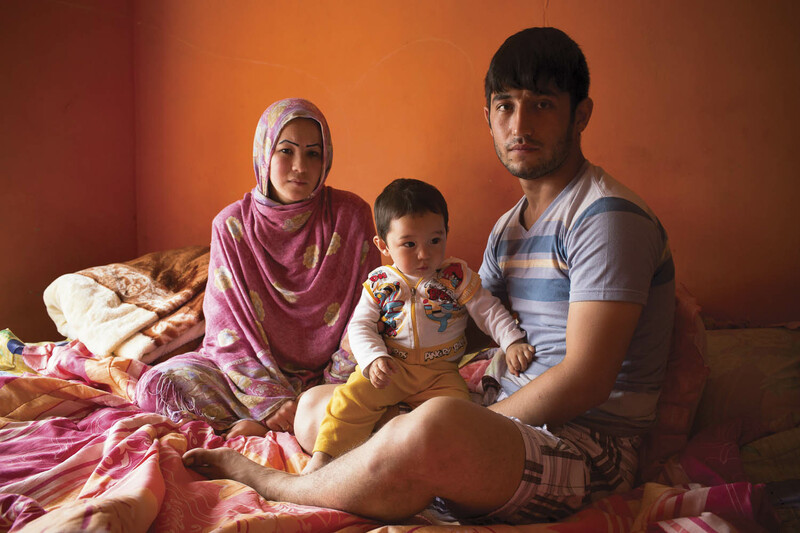 Twenty year old Bebe Shafaqa (left) and her twenty two year old husband Mujtaba Ashouri pose with their one year old son Murtaza Ashouri. The Hazara family has been in Cisarua, Indonesia for only two months after fleeing violence and target killings in their home in Quetta, Pakistan.